"I am disheartened with the union budget. This is a hopeless, negative and super flop budget. It is a big bluff budget. I think this anti-people BJP government is not fit for governance," Mamata Banerjee told reporters here. 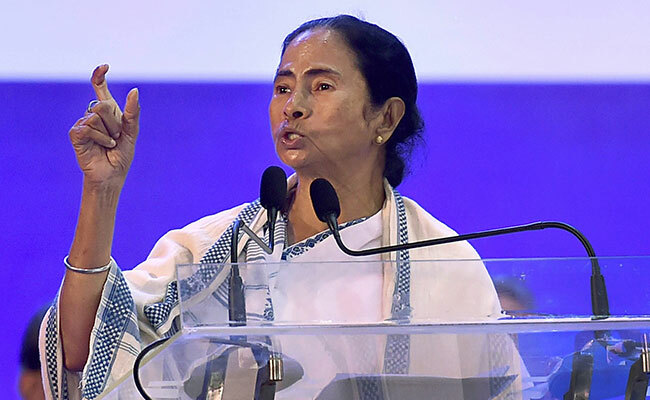 Kolkata: West Bengal Chief Minister Mamata Banerjee dismissed the union budget presented today as "negative and a super flop show" and said the "anti-people" BJP government is not fit for governance. Mamata Banerjee said the budget does not spell out the direction on employment generation and has cut allocation on various other social schemes. "Small scale and medium industries have been badly hit due to demonetisation and GST. We have been saying this from the very first day," she added.